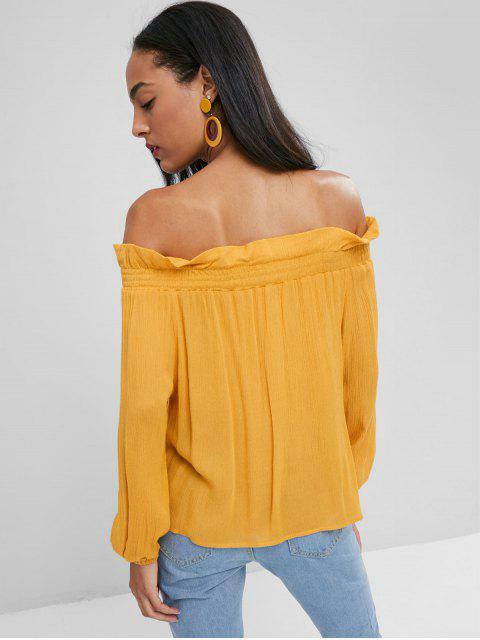 [25% OFF] 2019 Smocked Panel Off Shoulder Top In BEE YELLOW | ZAFUL ..
A brightly feminine take on the classic style, this off-the-shoulder top will feel just perfect for those sunny days whether you pair it with leather leggings or cutoffs. 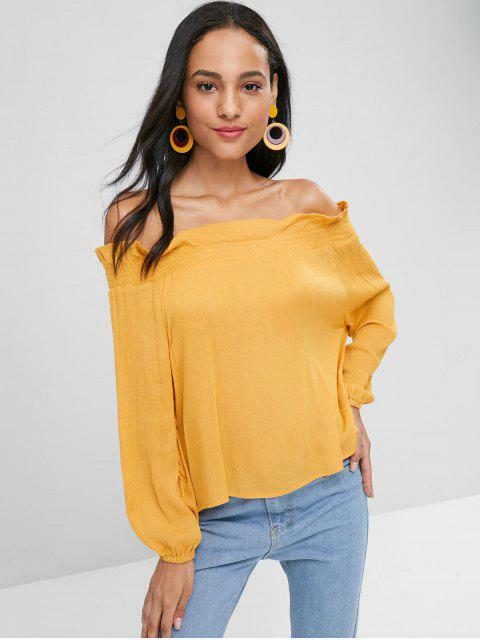 An elastic, ruffled collarline with a smocked design adds a little edge to this top. Elastic cuffs.